As much as we would like out carpets to remain clean 24/7, it is practically impossible. Despite all the efforts in keeping it clean, dirt will eventually come for different reasons -maybe from stepping on it, spilling and staining. 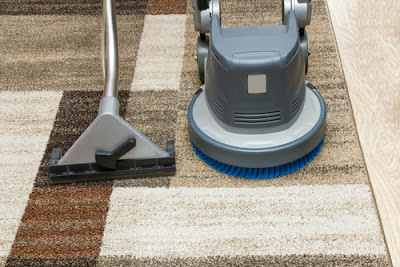 It is the reason a carpet requires to be cleaned regularly to maintain their look. It is a fact that a clean carpet adds value and authenticity to your home or office. But how clean your carpet is equally important- you should apply some of the most effects cleaning methods. Here are 10 of the best Carpet cleaning tips and tricks you can use. Every time you step on the carpet, you leave some dirt behind. 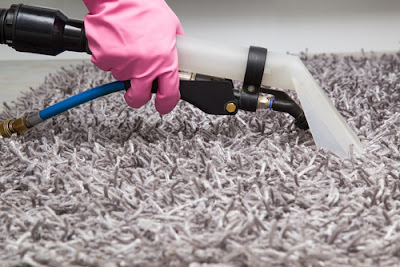 Since it is not possible to deep clean you carpet regularly, you need to have a way through which you can be removing this dirt regularly to keep it looking nice. This is where regular vacuuming is recommended. A vacuum cleaner will pick dust and debris thus keeping your carpet looking good always. The frequency at which you vacuum will be dictated by how much the carpet is used. If you are a bachelor, doing it a week will enough. If you have a large family and pets, do it at least thrice a week. Be very careful with spills. It is easy for them to become stains if they are not treated immediately. The secret to keeping your carpet clean for a longer time is dealing with any spill straight away. The best way to deal with them is soaking it with a dry sheet or using the carpet cleaner before it soaks in. You must also be wary of how clean it. The worst that you can do to your carpet is trying to rub off the spill. This will drive it further into the carpet making it hard to clean and may result into a stain. Use of the wrong solution is a common mistake in carpet cleaning. For the carpet to be cleaned properly, the right solutions must be employed. In many cases, the manufacturer will recommend the right solution to be used. Most of the suggested solutions are manufactured specifically for those carpets. Most people will be tempted to go for cheaper solutions that are poorly manufactured. Others may opt to go for homemade solutions. These solutions are likely to damage the carpet either by fading or tearing it with time. Some may leave behind a foul odor even after rinsing several times. If it is the first time to clean with a solution, it is important to test its colorfastness first. Some solutions can destroy your carpet mostly by fading its color. You need to check out if the carpet color will be affected by the solution. Start by cleaning small area first and see how the detergent works. You may also use a white towel to rub the carpet to find out if there will be any color on it. If at all there will be even small traces of carpet’s color on the towel, you should avoid using that solution since it will fade the carpet. It is also likely to lower the lifespan of your expensive carpet if used. If you don’t clean your carpet regularly, pre-treating it before actual cleaning will be required. Sometimes the carpet may be extremely dirty and intensely stained for regular cleaning. Pre-treating helps in soaking the stain and dirty for easy remove. You need to apply the pre-treatment solution on the heavily stained or soiled areas and allow it to soak in for a moment. This will make it easy for the cleaning exercise and save on the cleaning solution used. It is also worth noting that pre-treating reduces wear and tear associated with the vigorous scratching of the carpet on heavily stained areas. Another mistake that people commit while cleaning stains on the carpets is rubbing. Blotting is the best way of dealing with stains. Vigorous rubbing is likely to increase the chances of stain spreading into the surrounding carpet fibers. This will definitely affect the lifespan of your carpet negatively. By blotting, you will be dealing with the stain using an absorbent material without spreading it to other areas of the carpet. The best way of blotting a stain is by working from the outside to the outside of the stain. It makes it impossible for the stain to spread over the carpet. Though the use of water is necessary for carpet cleaning, you must be very careful with its quantity. Use as little water as possible or it will extremely hard to dry the carpet. If you are hiring the cleaning equipment, minimize the use of water as much as you can. If the carpet becomes saturated, it will cause pretty horrible odor due to decay and growth of mold. Make sure that the amount of water used will be easy remove and dry the carpet once cleaning is done. Where do you start cleaning from? Some may start from the center or areas that are heavily soiled or stained. It is advisable to start from the furthest corner of the door. The reason behind this is to ensure that you won’t walk on areas that are already cleaned. Otherwise, you will be doing nothing. It is also important to that you need to do your cleaning in overlapping straight lines for a thorough cleaning. Use of parallel strokes with a carpet cleaner allows for small overlap that helps to prevent streaking. Wax is one of the notorious debris you have to deal with when cleaning a carpet. They are easy to remove if you use the right method and likewise difficult if wrong cleaning method is used. Heating is the best way of removing candle wax. You first remove the larger debris by the use blunt object and use the heat for the rest. Iron is the best tool to use. Put a piece of cloth on top of the wax and run the iron on top of it and the wax will come out. It is that easy. 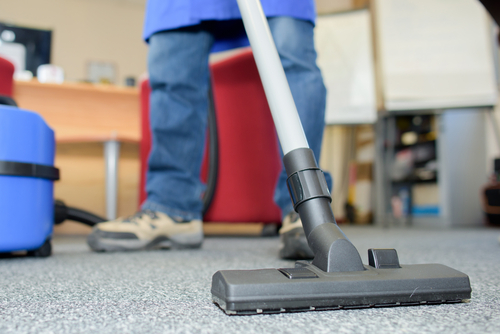 To keep you carpet clean and looking new, deep cleaning after some time will be necessary. It is also important to hire a profession to do this for you. If you have been doing the cleaning yourself, know that you cannot do it professionally as it is required. Professional carpet cleaners have the best equipment and skills to give your carpet a new life. Deep cleaning ensures that the carpet is restored to its original look. It is like rejuvenating you carpet.